Every year, the church has an anniversary, and leading the choir this year for that specific day was really humbling. As often as I tire of the responsibility, not the people, but the practices, God had led me that day to pray before the event. And for some reason, this was all I could say, without getting so emotional. In short, I was really proud of the choir that day as they sang Hosanna and My Chains Are Gone. While I was eating my lunch, someone approached me and said how blessed they were with the choir’s numbers. He also was impressed with how I led the choir. I get this every year. I’m not trying to brag, although I always find it amusing that people are interested with my hand movements. And I do, however, find it very encouraging, knowing that maybe somehow I’m helping that choir as I lead. It’s not every day, you are encouraged with your ministry, so to those who have said a flattering word of encouragement, thank you. To God be the glory for a passion He distributes in His servants. Anyway, I felt that I should explain how I learned to conduct. I didn’t have any formal training. I never took conducting classes. I took 10 years of piano lessons. That’s where I learned theory. I took a theory class in college. I was in my middle school and high school choir for 4 years, and in my church choir for even a longer period. I observed all my choral directors, Ms. S, Mr. Button, Ate Grace, Ate Irene. The rest came very natural to me, as music does. I still think I have a lot to learn, esp. in educating others in music. All I can do is teach what I know. The rest is a passion to serve, and most of all, a passion to honor God by conveying worthily God’s message through the song. As the choir can attest, I try to stress, in the moments between the practice and performance, that we honor God by more than just singing the song, but understanding what the song is saying and conveying it as we sing. Even those moments when we sing, those moments when our hearts are reached by the reality of the idea and truth is a part of our worship. 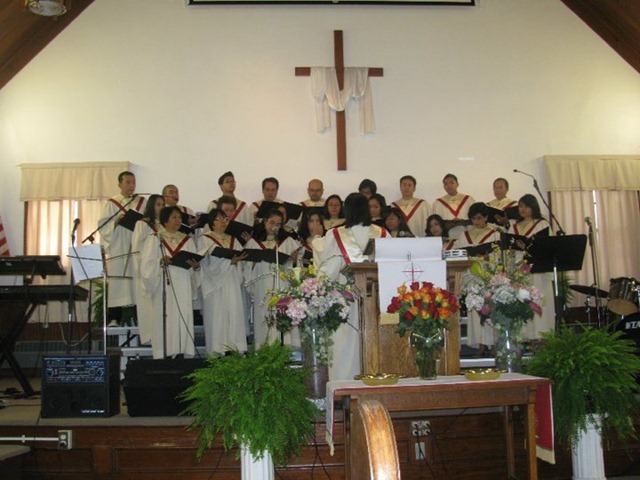 A choir that can sing is ok by me…but a choir that is changed by its piece and can help others see more than a pretty melody counts more to me. The same goes with conducting. Listen, I don’t know about how I conduct. I don’t even know if I’m 80% technically correct. But I do know this, that when I conduct, I rely on Him, esp. with my stage fright. And I do know this, that what I do up there is part of my worship.